Every year Alaska Visa Signature cardholders get a present in the mail: a voucher for a $99 coach companion fare. This voucher is a nice bonus that helps offset the $75 annual fee. The physical voucher is more of a formality, since Alaska stores these electronically on the cardholders Alaska Airlines Mileage Plan account. The annual companion voucher can really come in handy to help stretch your cash and miles. It requires that members purchase a domestic economy revenue ticket in order to get a companions fare discounted to $99 (or about $118 with taxes). It’s not as great as the Southwest Companion Pass, but it does open up more routing options to places where Southwest doesn’t travel. For example, tickets to Hawaii are notoriously high priced–both in terms of cash and mileage redemption rates. With the Alaska Airlines Companion Voucher, you can offset the cost tremendously. If a round-trip ticket to Hawaii costs $500, incorporating the companion voucher would bring the total for two people to about $618 round-trip. This is an excellent deal for two tickets to Hawaii. Considering most airlines charge 40,000 miles round-trip, the Alaska Companion Voucher is an excellent way to get the most from tickets you pay for. Charge the trip to your Barclay Arrival Plus card and you can redeem your Arrival miles for the two flights. Plus, both travelers earn Alaska Mileage Plan miles on their trip, which is always a nice bonus. If you have the code on hand, you can also just go straight to the Alaska Airlines website and enter it into the Upgrades and Discounts field before searching for your desired trip. Then select your flight and proceed to checkout. The companion fare will be applied to the second passengers fare, so you’ll pay just $99 and taxes, starting at $19, for the flight. I tried a sample trip to Hawaii and found fares out of San Francisco in January for as low as $330.22. With the companion fare, the total came to $499.34, which is an amazing deal. Charging the flight to the Barclay Arrival Plus card would also give me the option to redeem around 45,000 Barclay Arrival Plus miles for these flights, essentially giving me a 2-for-1 deal on a mileage redemption. Keep in mind that the companion voucher is only valid on paid coach flights as long as both tickets being booked are in the same fare bucket. The voucher is valid on both one-way and round-trip flights. If you’re planning travel for someone else, you can apply the companion voucher to their booking as long as you are the one paying for the ticket. The voucher is only valid on flights operated by Alaska Airlines, SkyWest, and PenAir. 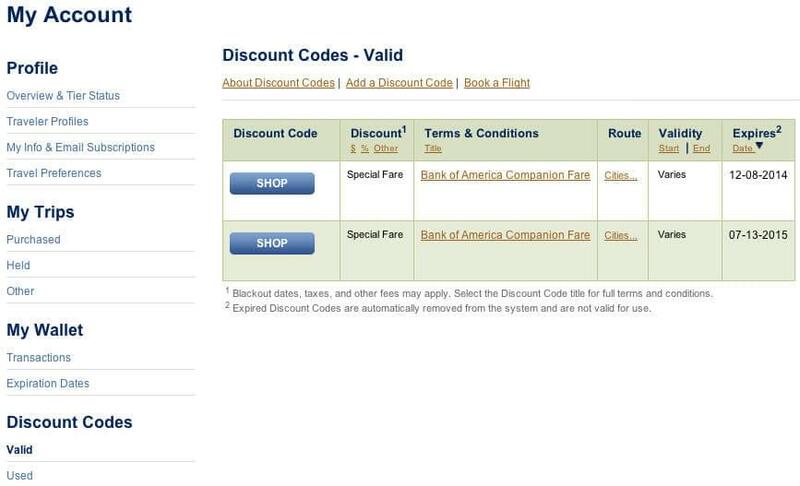 The Alaska Companion Voucher can come in handy and help you save miles and cash. The ability to redeem it online is a nice plus.